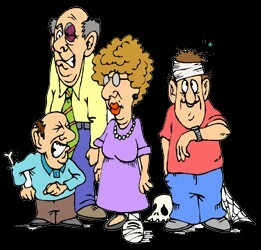 Injuries are estimated to become the number-one cause of death for men and women under the age of 45 by the year 2020. Trauma patients present unique challenges to anesthesiologists. Acute injuries require resource-intensive care and are often complex cases, especially when coupled with underlying, preexisting medical conditions. Anesthesiologists are involved with trauma patients beginning with airway and shock resuscitation, continuing with intraoperative care during surgery, and extending on to pain management and critical care postoperatively. This new reference focuses on a broad spectrum of traumatic injuries and the procedures anesthesiologists perform to adequately care for trauma patients perioperatively, surgically, and postoperatively. Special emphasis is given to the assessment and treatment of coexisting disease. Numerous tables and more than 300 illustrations showcasing various techniques of airway management, shock resuscitation, echocardiography, and use of ultrasound for the performance of regional anesthesia in trauma provide an invaluable reference for the anesthesiologist. Dr. Charles E. Smith is board-certified in anesthesiology and in perioperative transesophageal echocardiography, has expertise in trauma care, and has published extensively on topics in trauma anesthesia. Archivo: Bajar el libro completo. [Clic aquí] 18.1 MB.